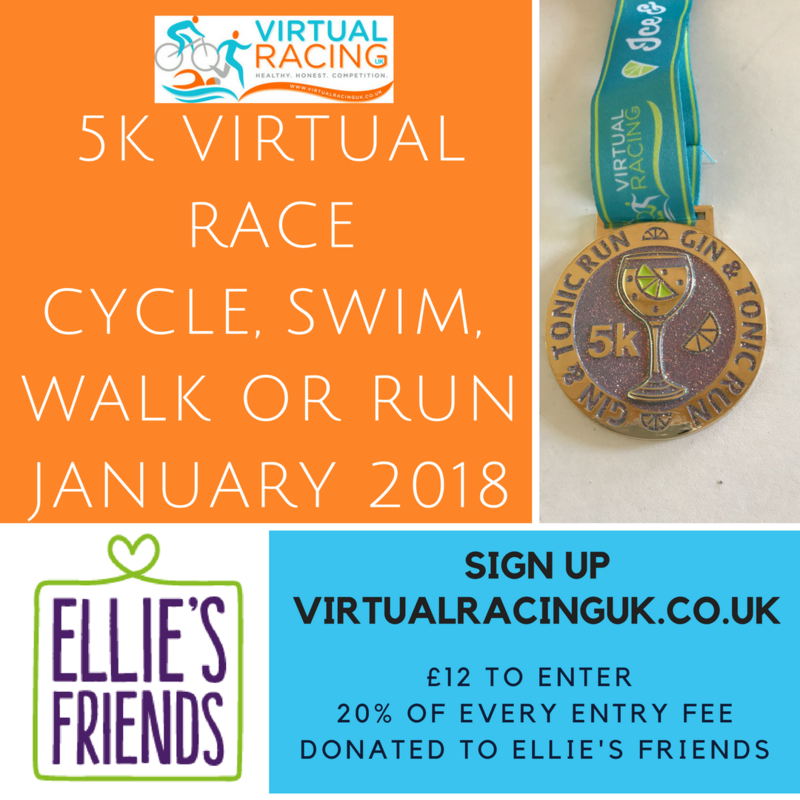 Ellie's Friends is delighted to be partnering with Virtual Racing UK during the month of January on a virtual 5k run or walk. Just the perfect distance to burn enough calories for a G&T. This is a super sparkly blingy medal! 5k is the perfect distance for beginners and seasoned runners alike. You could even do it with a group of friends. All you need to do is sign up to the Virtual Race. Complete the virtual run. Send Virtual Racing the proof. Wear your medal with pride.